After getting in a two exclusive Q & A’s with Stop Motion Animator Phil Dale about The Blythe Animation Collaboration Project he is working on, it is time to find out with whom he is collaborating and how this project came about. Enter Maribel Diaz, aka Voo_doolady in the Blythe Community, an avid Toy and Art Collector and Photographer. Maribel’s whimsical images bring her plastic subjects to life and her collection of fantastic plastic is vast. Amongst her Blythe Collection was a little one called Cobain, a doll she commissioned from Maria Ruiz Castelain and gave her life via her photographs. A Stop Motion enthusiast, Maribel reached out to Stop Motion Animator Phil Dale via Instagram and from those interactions a collaboration was born. 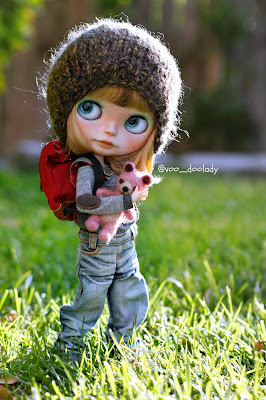 Maribel started collecting Blythe in August 2008 while online searching for photos of the 1980's singer "Blondie". As she was browsing through the photo results, she saw a blonde big eyed doll channeling Blondie. She was so intrigued by the doll and was determined to find out what type of doll she was. The search led her to Flickr and that's where she saw a world of dolls she had no idea existed. 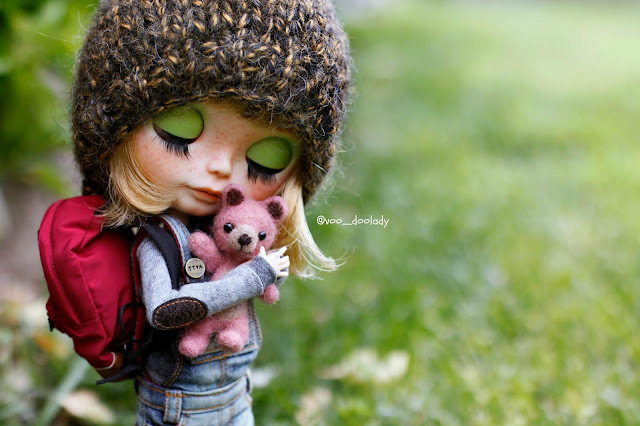 She soon got into photography because it was the way to share her dolls. She was inspired by so many creative Blythe doll photographers and their beautiful photos. 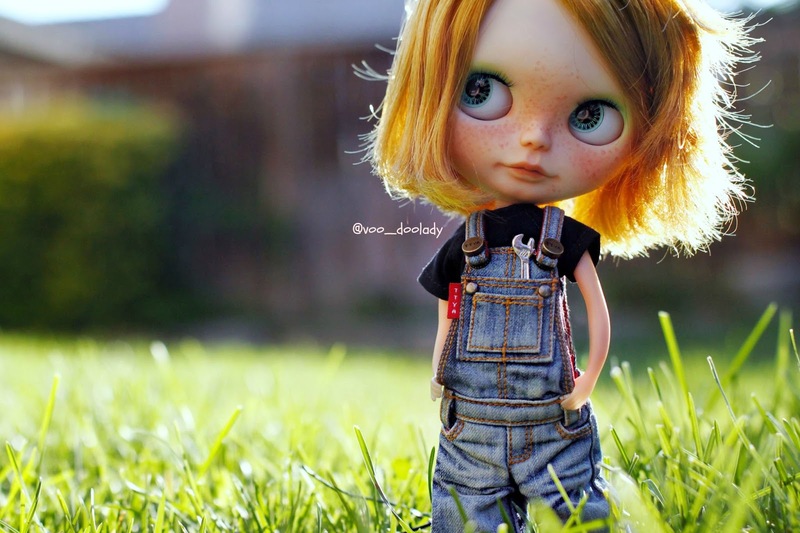 She wanted to bring her dolls to life like they were and continues to aspire to improve her photography more and more every day. 1. How did this collaboration manifest? It all started while conversing with Phil about one of his previous works, The Periwig-Maker. He was the sole animator for this stop motion short and he did such an amazing job. I remember telling him how I really enjoy watching the behind the scenes of stop motion animation and how much I appreciate him sharing his work with us on Instagram. 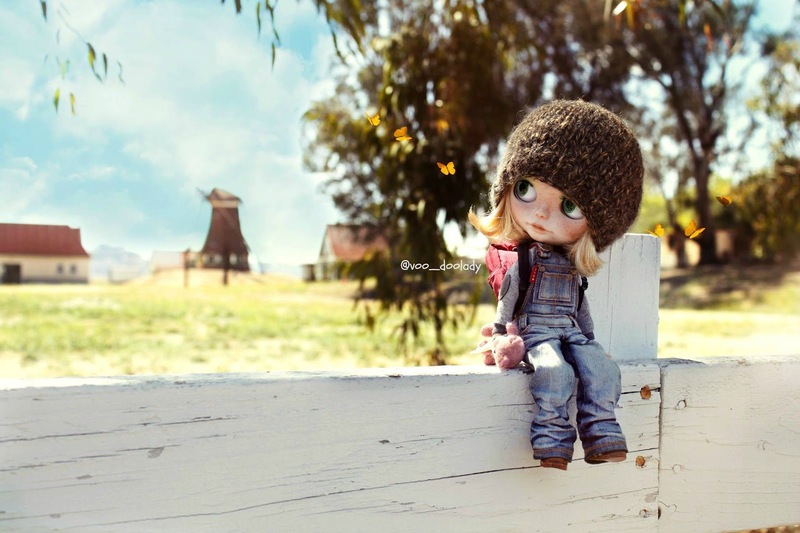 That’s when Phil (@handmation) mentioned to me how he was thinking about animating a Blythe doll. I wanted to scream with excitement! We started talking about animation and ended up discussing Blythe and her elements, the story behind Blythe collecting, how articulate they are, and much more. Phil asked me if I would like to be part of a little collaboration and of course I said yes! I am so grateful for the opportunity to be a part of this project. Part of the collaboration was for me to provide a doll from my personal collection. After carefully looking at all my dolls, we both decided that Cobain would be the chosen one. 2. Who was the artist that customized Cobain? Cobain was customized by Maria Ruiz Castelain. She is a Spanish publicist by profession and the person behind the name “La Chica del Lunar” a blog she started to share her handmade crafts, illustrations, and graphic design. Somewhere along the way she discovered Blythe and that’s when she decided she wanted to customize dolls. It was a great pleasure working with Maria as she customized Cobain. Following the step by step process of your doll’s customization is so fun to see. Maria is very happy and excited that we have chosen Cobain for this collaboration. She cannot wait to see more! You can find more information on Maria and her Blythe custom work at her main Blog or her Etsy Shop. 3. Do you have any storyboard ideas for the project? If not what are your hopes for Cobain? What type of scenarios do you envision? I was asked the same question by Phil when we decided to move forward with the collaboration. I pitched an idea to him and waited for his response. When he told me we both had similar story ideas, that made my day! I would love to tell you all about it, but you will have to wait and see! 4. What is Cobain’s personality like? Who is she? Cobain is a creative, adventurous, tomboyish girl that loves grunge fashion, music, playing her guitar, and the outdoors. She’s very good at repairing things and coming up with solutions to any obstacle that comes her way. She “tries” to avoid mischief and can be a little quiet and reserved at times, which can make it hard to get to know her well, but when you do she is all love. 5. 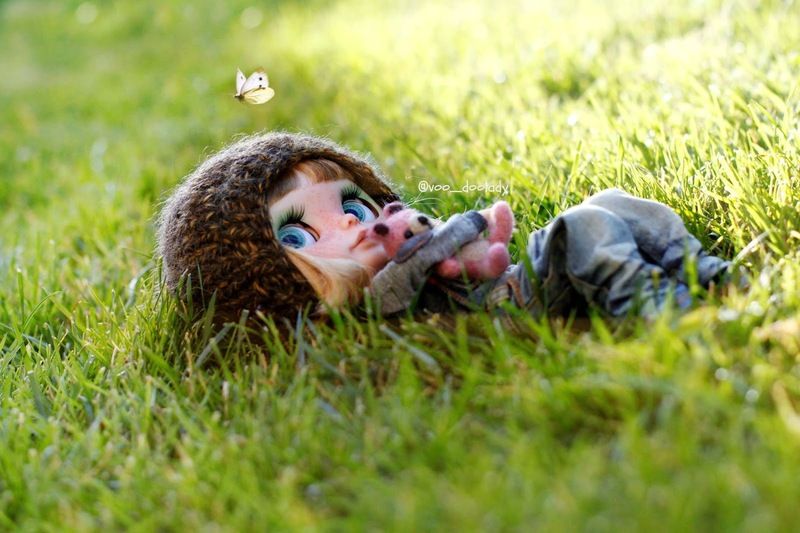 What is the feeling you get when you see a new post regarding the Blythe Animation Project? I’m fascinated every single time a new update is posted. Blythe was not necessarily built for animation and it’s intriguing to see what animation rigs can do to a Blythe mechanism. 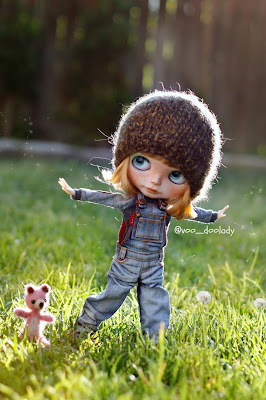 As a Blythe collector and photographer, being able to capture a moment where you see your doll come to life or express emotion is so rewarding to me, but to see her come to life via stop motion animation is taking Blythe into a whole new level. So many more emotions can be captured and expressed. I envision this project will be taking Blythe from a still moment in a photograph to an outside world of endless possibilities.